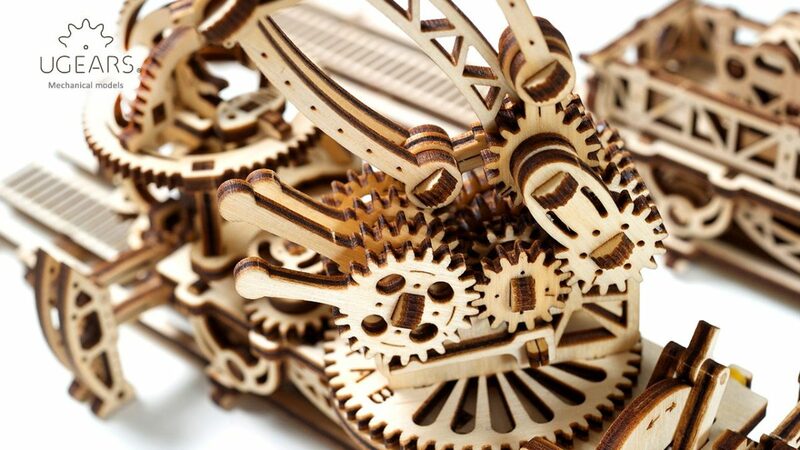 The claw itself sits on a platform that can be rotated either manually or by a valve. 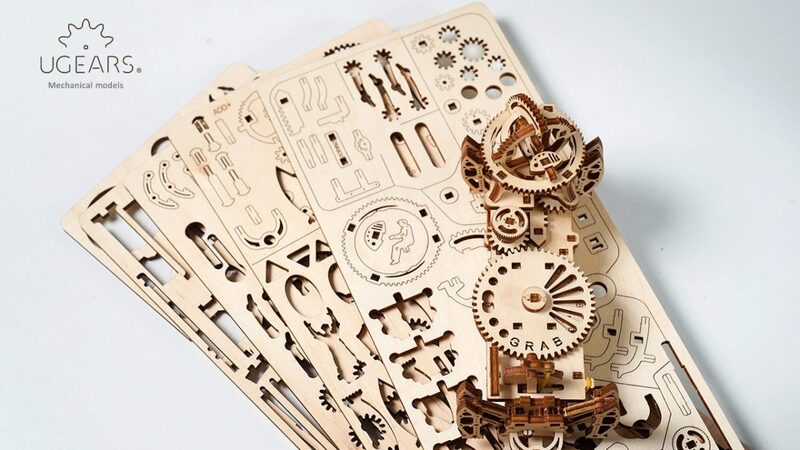 The operator’s cabin equipped with protective lid and adjustable light os located in the front of The Manipulator. 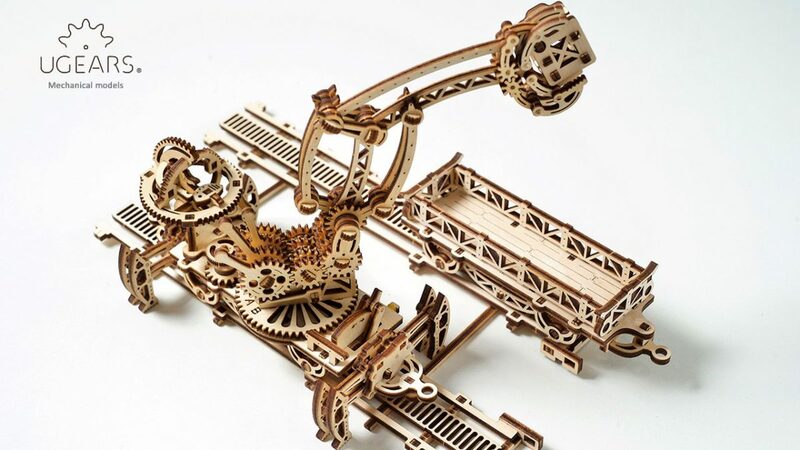 It controls manipulator’s three basic working modes: initial position (driving mode) – the claw’s rotation platform locked, the model moves along the track; 90-degree turn (free mode) – the rotation platform is unlocked; 180-degree turn (loading mode) – the wheels of the models are locked along with the gear in the front axle that connects to the ledge on the rails. On the back of Manipulator is the lever that controls lifting, lowering, and holding of four foot supports providing extra-steadiness while operating the claw. 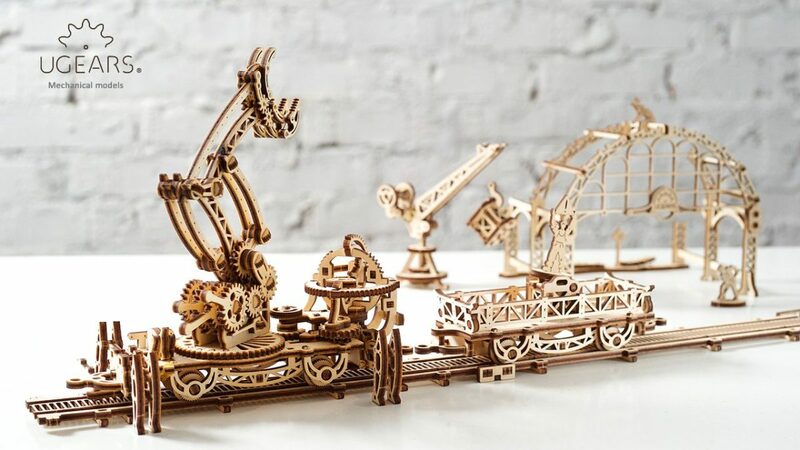 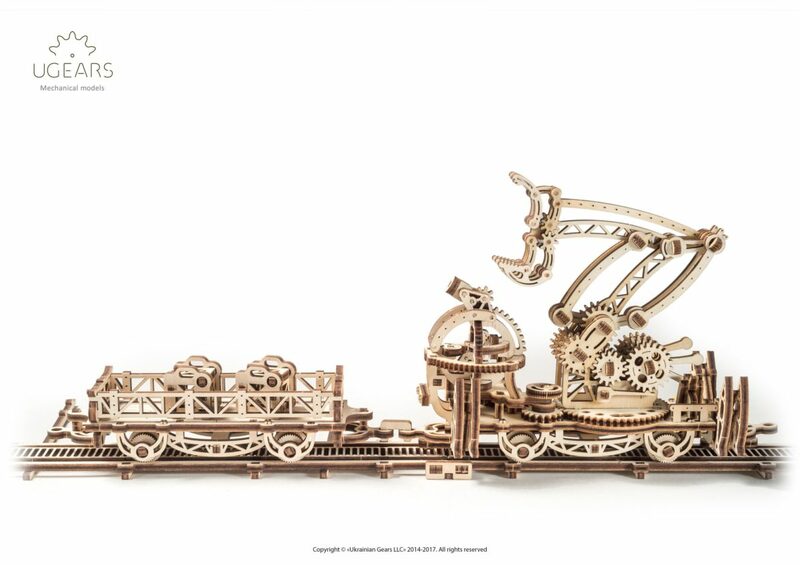 With its claw, the Ugears Manipulator can load and move the freight crates in the Carriage with an extraordinary – up to .39in – preciseness. 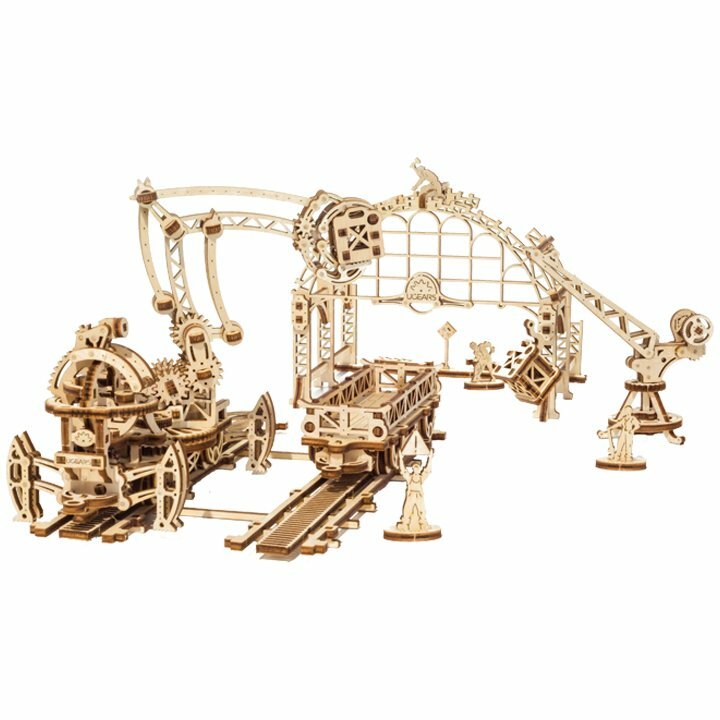 Just like its prototypes, the Manipulator will teach you about the operational and constructional peculiarities of the real-life machines, such as cranes, excavators, robotic arms, etc; their mechanics and functionality. 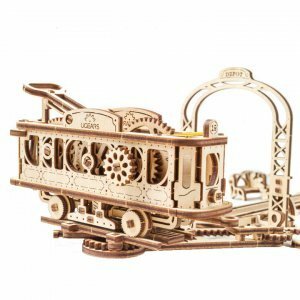 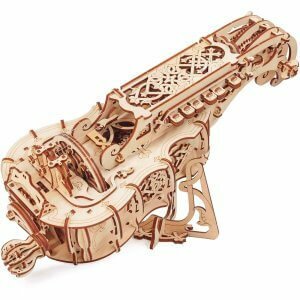 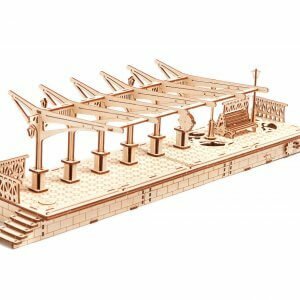 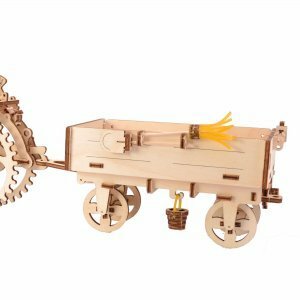 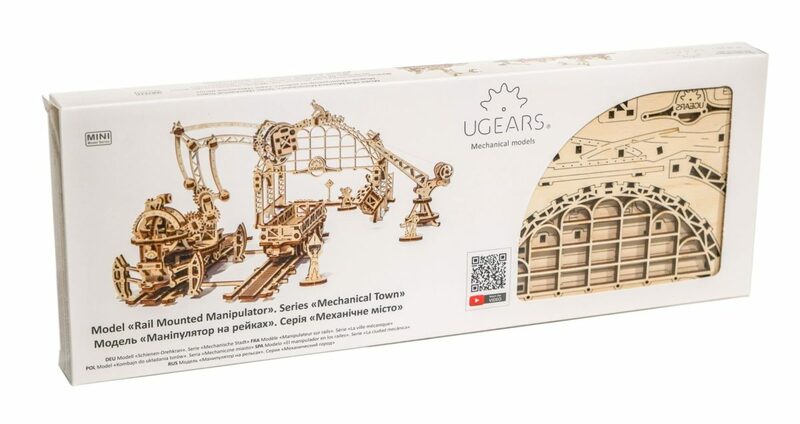 We bought Locomotive for our son this past Christmas and have been following Ugears website since. 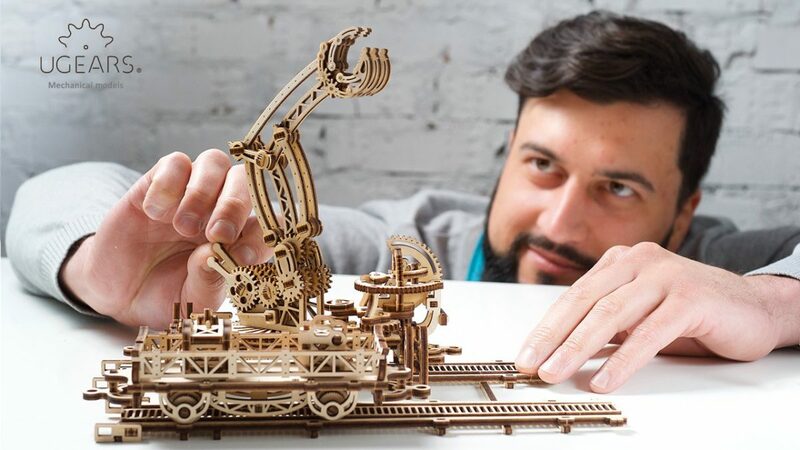 Manipulator looks like a great toy to compliment our locomotive. 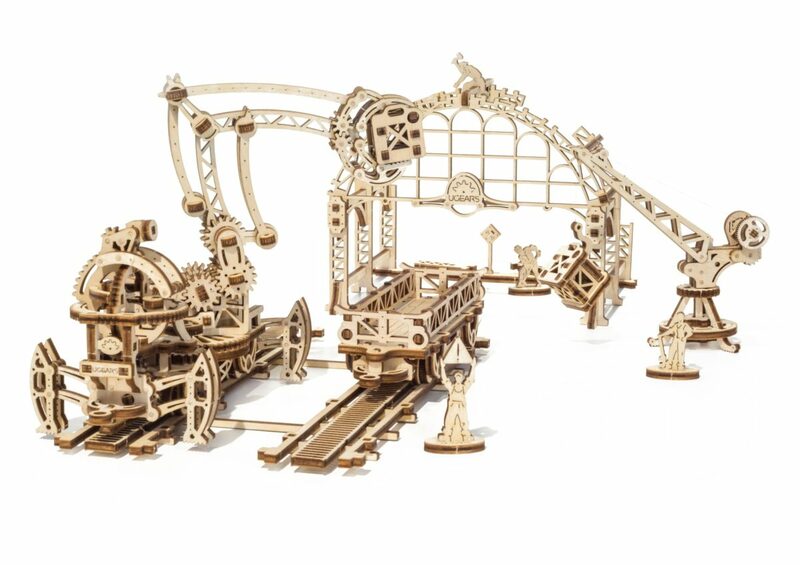 I love the idea that our son gets a lesson on mechanics while building these models.